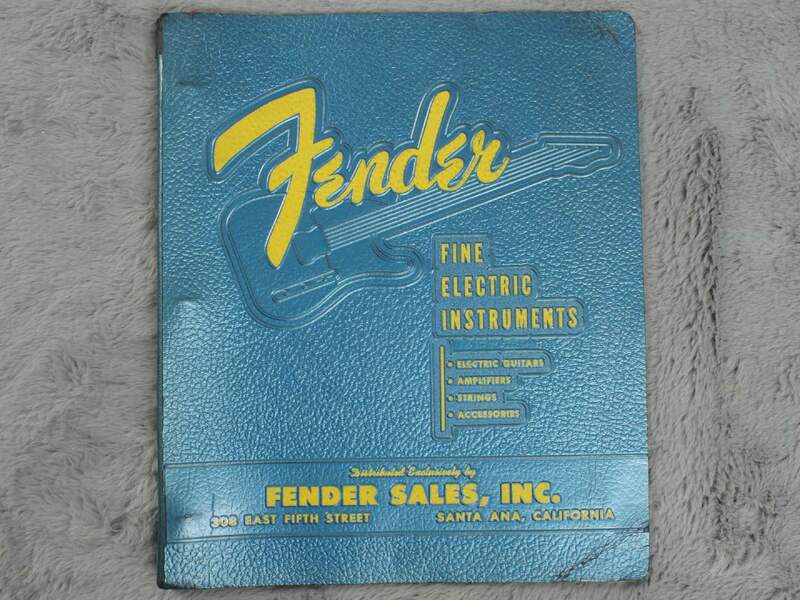 Quite a rare find, this is a Dealers Binder from 1955 detailing all Fender products and prices for that year. 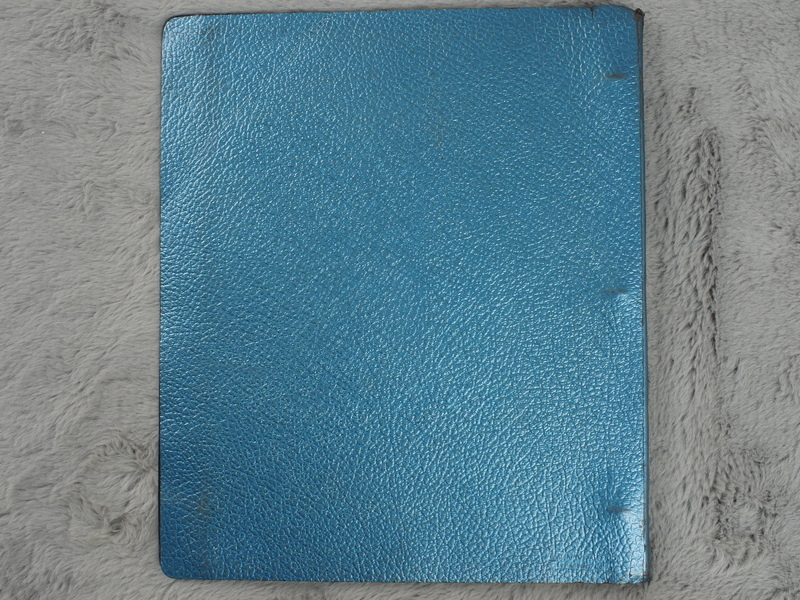 The binder itself is in surprisingly good condition with only a little damage to the spine at the top. Inside, each page is well preserved, the last couple of pages have come away from the binder but aside from that, these pages and all others are in superb condition. 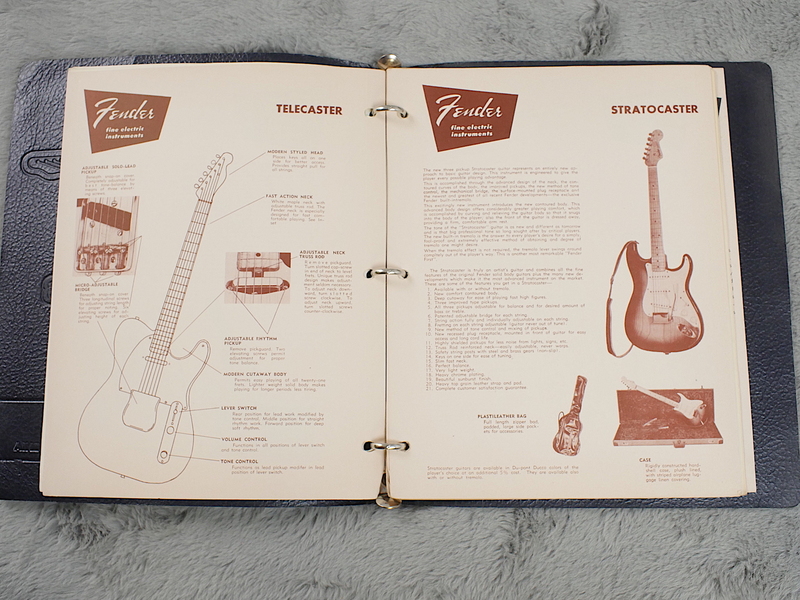 Has all the technical details of all the guitars, amps and even has dealer setup instructions for the tremolo system of the Stratocaster. 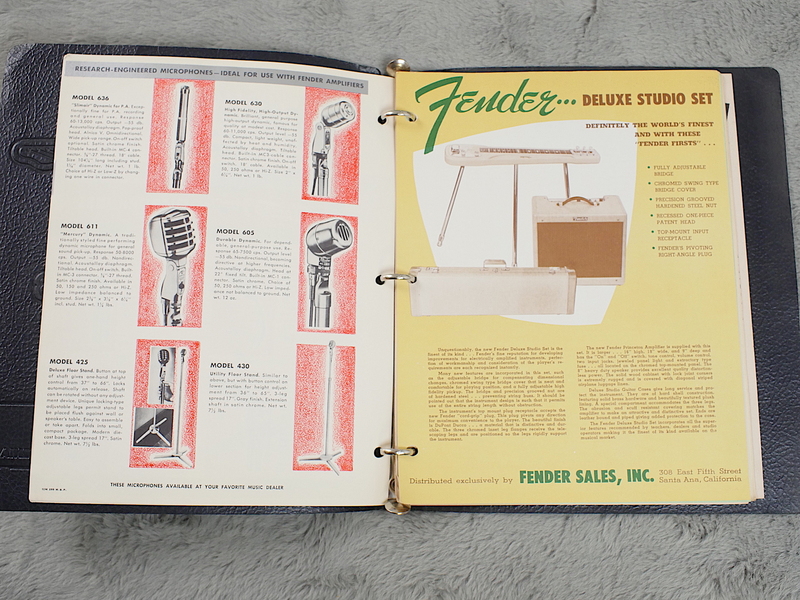 In total 56 pages (double sided) of what we think is Fenders complete line in 1955.